Buyer's loss = your gain! Lovely 1.5 Reverse in quality Highland Village, care-free maintenance-provided living. Open floorplan w/cathedral ceilings; floor-to-ceiling windows afford gorgeous views of green space. Built-ins throughout. Updated Kitchen w/SS appliances, granite, pantry & Eat-In bar. Master & additional bedroom on Main level. Finished Walk-Out Lower level opens to spacious Family Rm w/f'place, 2 bedrooms & full bath; 2 storage areas; lovely, private patio area. Deck overlooks creek, trees & trails. From 127th St & Pflumm, east on 127th to Haskins St; North on Haskins, then quick left onto W 126th Place; follow 126th Place to 126th Street to home on left. 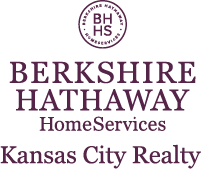 I am interested in 13408 W 126th Street, Overland Park, KS 66213.